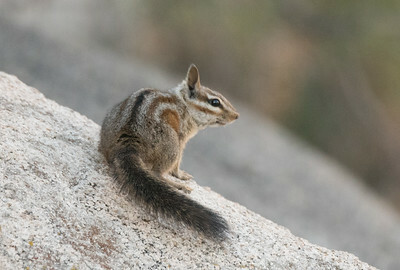 California Chipmunk pausing on a rock. 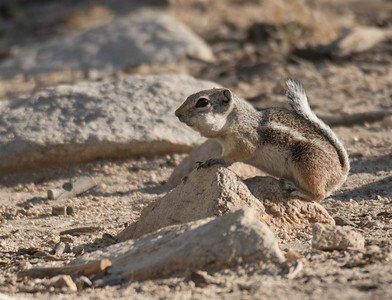 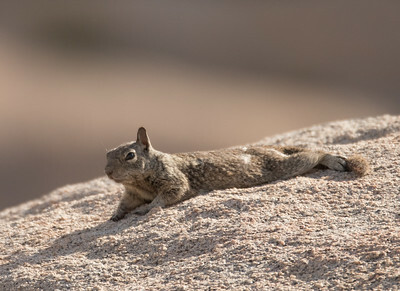 Young California Ground Squirrel basking in the early morning sun. 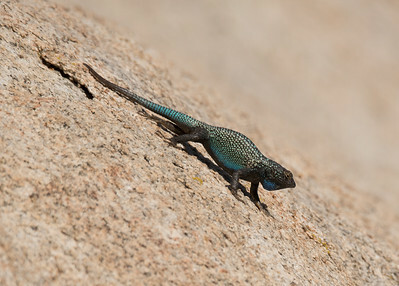 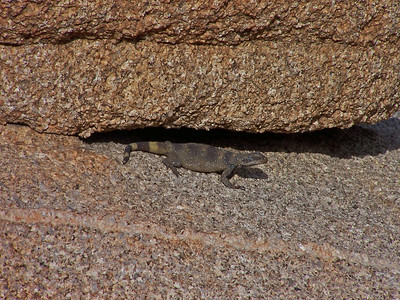 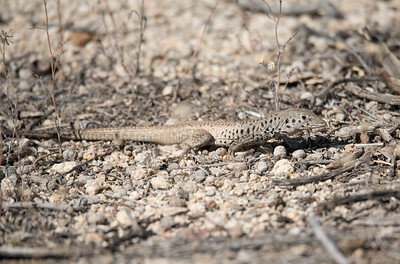 Tiger Whiptail lizard actively foraging in a wash. 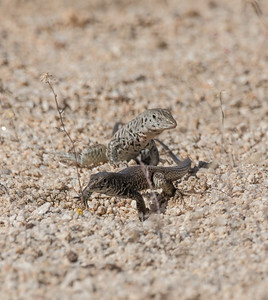 Male Tiger Whiptail Lizard following a female around a desert wash.
Down stream from Barker Dam. 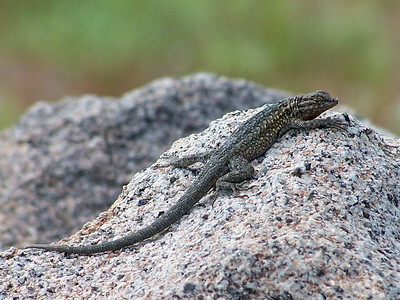 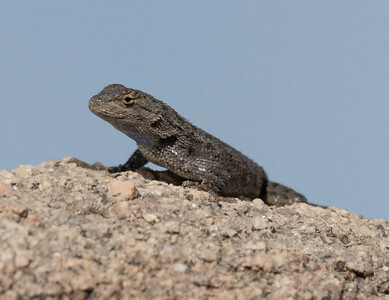 Side-blotched Lizard basking atop a rock. 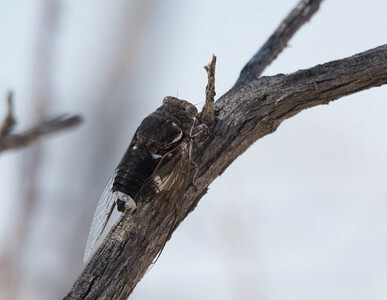 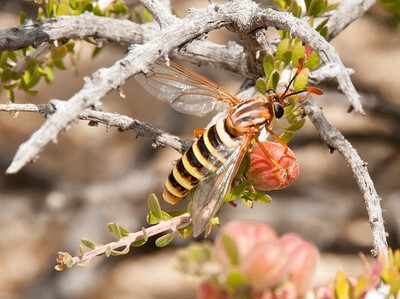 This is shaped a colored like a wasp, but has eyes and antenae like a moth. 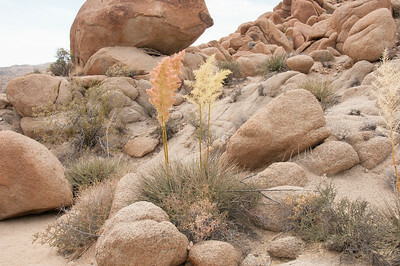 I haven't yet been able to determine exactly what it is. 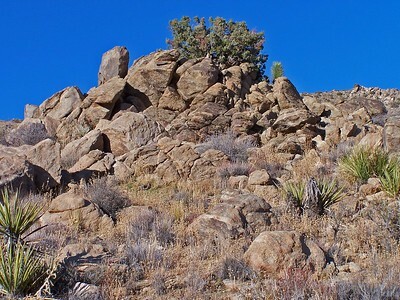 These springs are located a few hundred yards off of Cottonwood springs but are far less traveled. 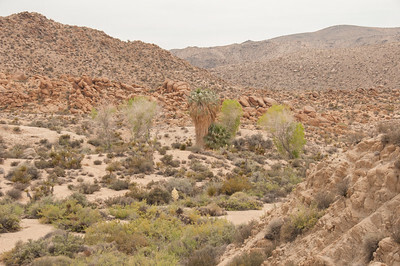 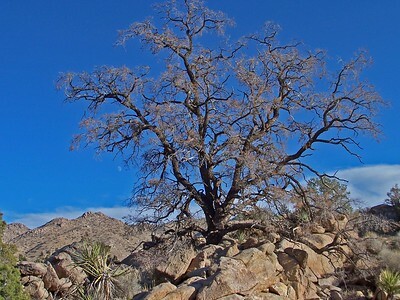 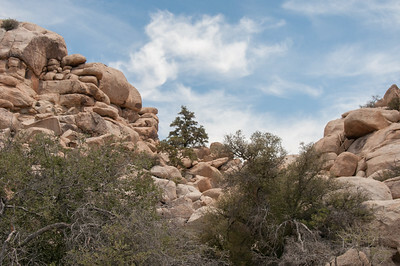 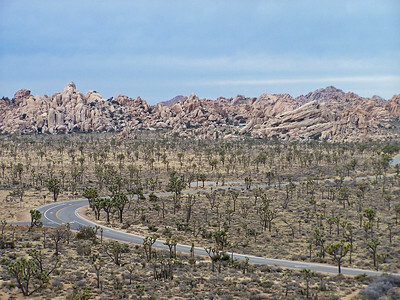 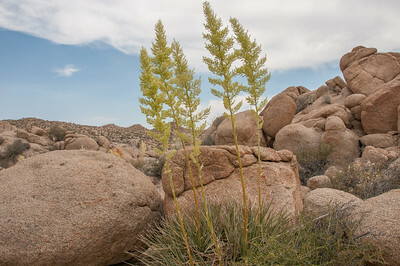 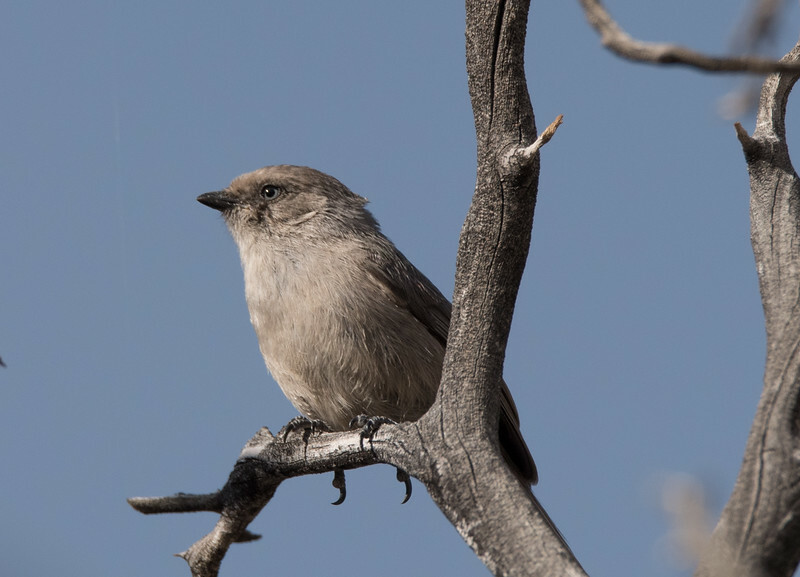 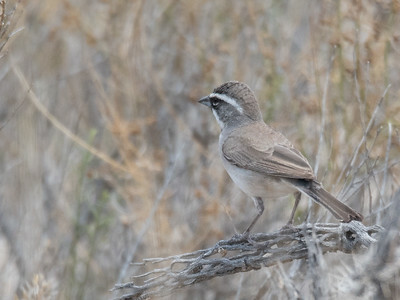 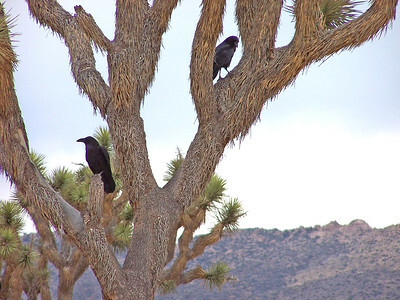 Parry's Nolina is a specie of Yucca, like the Mojave Yucca it may be associated with. 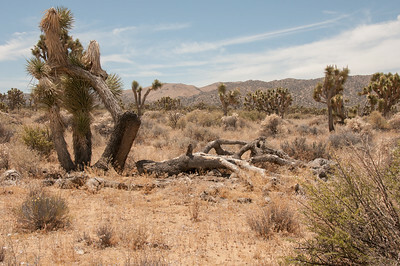 This stand is near Wood Springs. 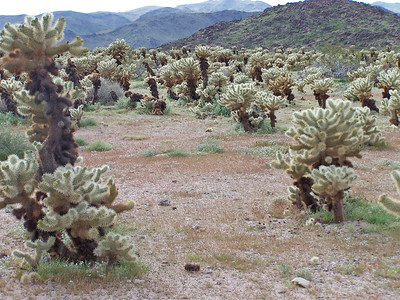 Bigelow Cholla Patch after a some rains. 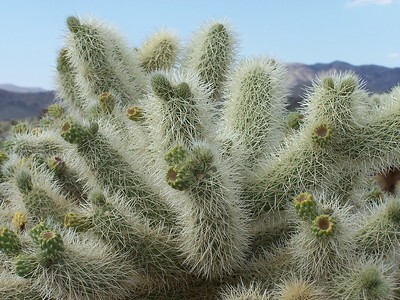 The thorns are very sharp and barbed. 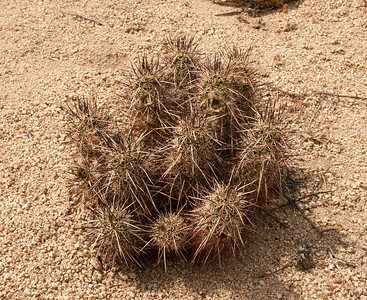 If you get stuck, the segment with the barbs may break off, staying with you, and because of the barbs the thorns are very hard to pull out. 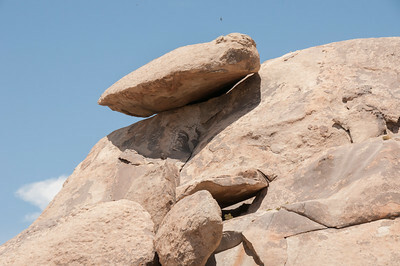 Never try to pull a segment off your shoes with your fingers. 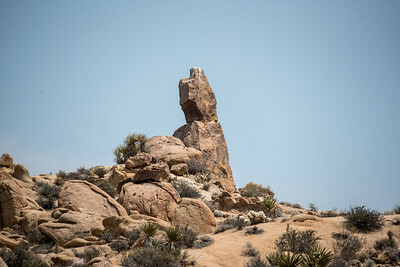 The "Cap" on Cap Rock. 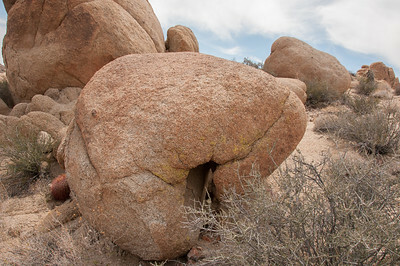 A boulder in the shape of a boxer's glove, Cottonwood Springs.